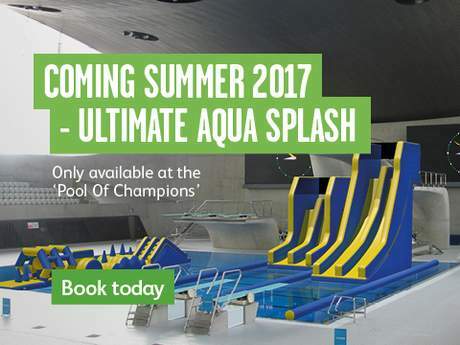 This Summer, Ultimate Aqua Splash - the UK's largest indoor inflatable aqua experience, is coming to the 'Pool Of Champions'. Tickets for Ultimate Aqua Splash as well as Extreme Aqua Splash and Aqua Splash go on sale from Friday 14th July 2017, tickets can be purchased online here only. Please note that all Ultimate Aqua Splash, Extreme Aqua Splash and Aqua Splash bookings are non-refundable and can not be changed or altered.